2018 was an great year for the Halloween Parade--though our Theme was "I AM a Robot"--the irony was that no one at the Parade is a robot! All were filled with freedom and creativity! We hope YOU show up in a photo! We will post photos in the next three weeks! Check back often! 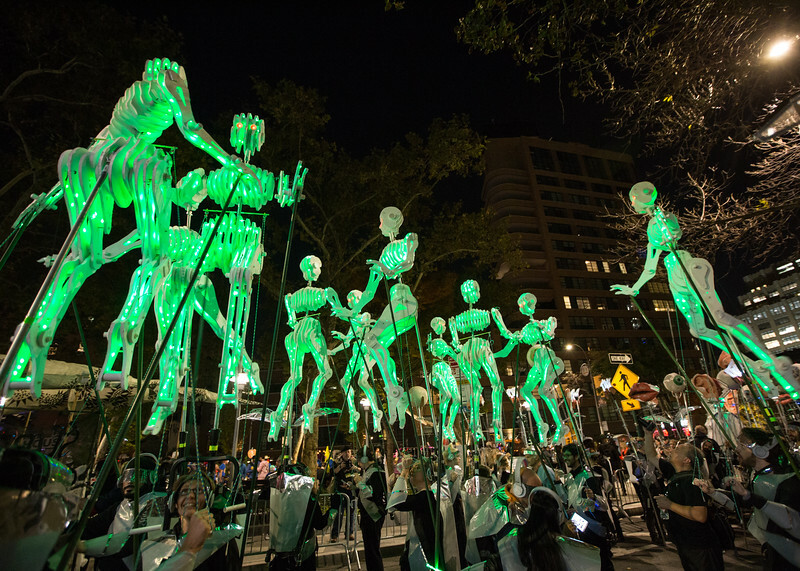 As you can tell very quickly New York's Village Halloween Parade is one of the most photogenic events in the world! We hope you enjoy looking through the photos that our wonderful photographers have shared with you! The Parade is a not -for-profit arts organization and we exist on donations from all our fans! If you buy a photo here, all the funds go to support the Parade! So, we hope you find a photo of yourself and that you will support the Parade at the same time!